The ADM BIO-FISH is a lightweight, multi-parameter system designed for fast, complete data collection surveys in estuaries, lakes, rivers, and coastal areas. It is easy to use and can be operated by personnel without special training in measurements and data processing. 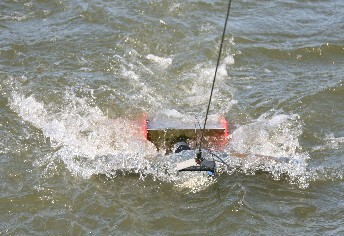 The BIO-FISH is currently deployed in Germany, the UK, Australia, Korea, New Zealand and Russia. The BIO-FISH tow body with up to fifteen physical, chemical and biological sensors. An electronic data acquisition and command module. A conductor cable, a small hand winch with slip-rings, a laptop computer with a RS-232 interface and the necessary data collection and calibration software. 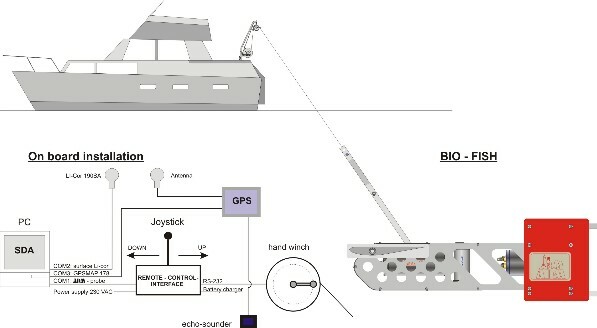 A GPS navigation system and a depth sounder are integrated in the computer steering of the BIO-FISH to follow an undulating survey course along with bottom avoidance. The BIO - FISH weighs approx. 20 kg and can be handled by a single person in the field. The max. depth capability is 60 m at 5 knots in calm water. 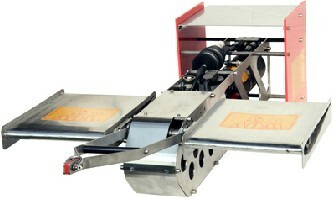 A manual winch with approx. 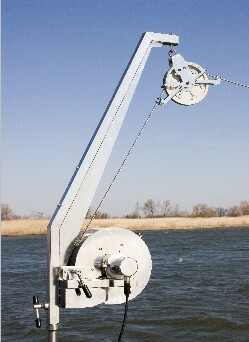 120 m of standard single core sea-cable is used for BIO-FISH deployment. No fairing or haired cable is required. Example of on-screen data display while measuring. The black line designates the bottom. Several different display modes are possible.